McAllen District 1 voters today will elect either attorney Javier Villalobos or businessman Timothy Wilkins to replace Commissioner Richard Cortez. District 1 voters can cast ballots Saturday from 7 a.m. to 7 p.m. at Gonzalez Elementary School, 201 E. Martin Ave.
During the early voting period, 1,330 ballots were cast. Villalobos and Wilkins are vying to replace Cortez, who is running for Hidalgo County Judge. In doing so, Cortez had to give up his McAllen Commission seat, triggering the special election. 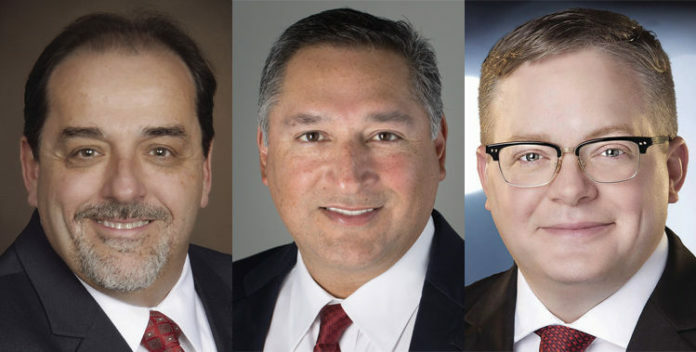 Saturday’s election is a runoff, which is the result of neither Villalobos nor Wilkins earning more than 50 percent of the vote in the Jan. 20 special election, which included a third candidate, Joseph M. Caporusso. In the Jan. 20 election, Villalobos received 505 votes (37 percent) compared to Wilkins’ 472 votes (35 percent). Caporusso had 375 votes (28 percent).